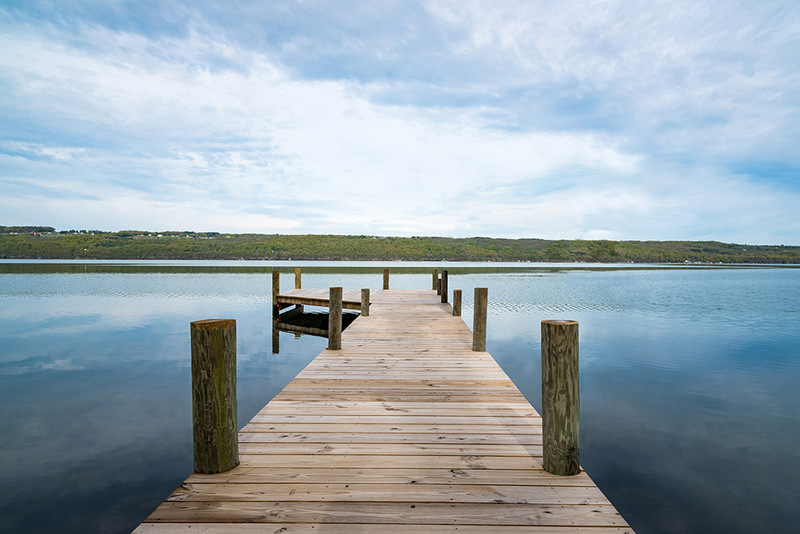 Welcome to Single Island Shores, Seneca Lake's newest option for lodging in the heart of the Finger Lakes. Located on the east side of Seneca Lake, you will enjoy easy access to the area's top wineries and attractions. Whether you are looking for a cabin rental for a weekend getaway, or a vacation rental for the entire family, Single Island Shores is the perfect destination for comfort and relaxation. All of our lake cottages are built with rustic appeal and luxurious comfort. 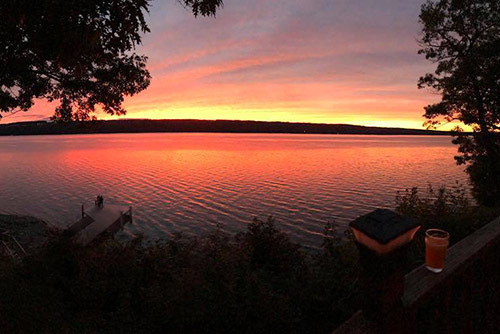 You'll enjoy beautiful lake views from every angle, including the unbeatable Seneca Lake sunset each evening. 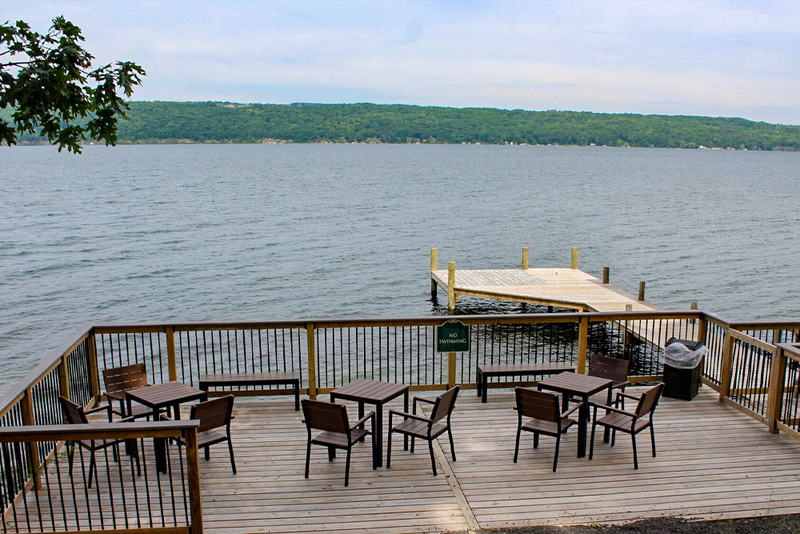 Each of our Seneca Lake cottages have a private deck with panoramic views. The Single Island Shores property reaches all the way to the water with a fully accessible dock. Choose from single (sleeps four), double (sleeps six), or 4-bedroom (sleeps 10-14) cottages. For large families or groups needing a bit more space, our Lakefront Grand Chalet, is the ideal choice, which sleeps up to 14 people in a 2200 square foot home directly on the water. A single bedroom handicap accessible cottage is also available. Kick back, relax and enjoy the spectacular view from our lakefront deck…and sip a little vino from one of our great local wineries! 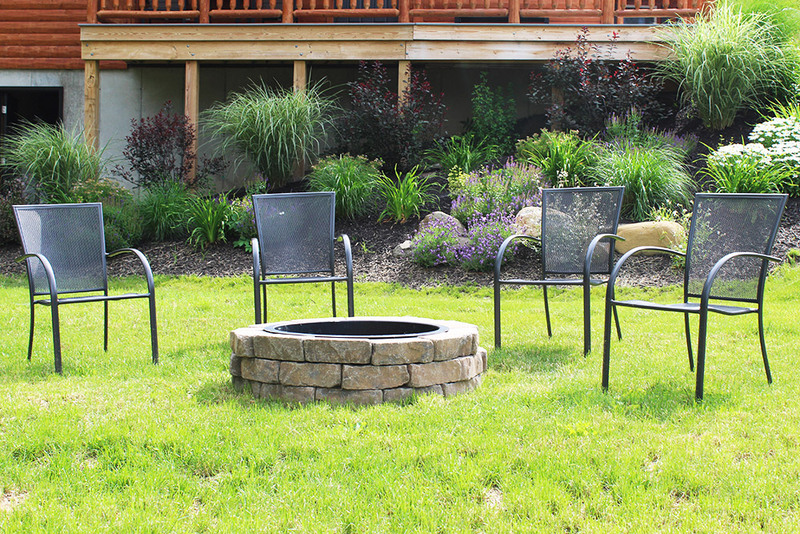 A great spot to enjoy a toasty fire and some s’mores after a fun day on the lake. Dangle your feet while you take in the great view, or grab your pole and cast a line in. Fresh fish for dinner? Be prepared to enjoy some fantastic sunsets – either from the shoreline or any of our beautiful cottages.